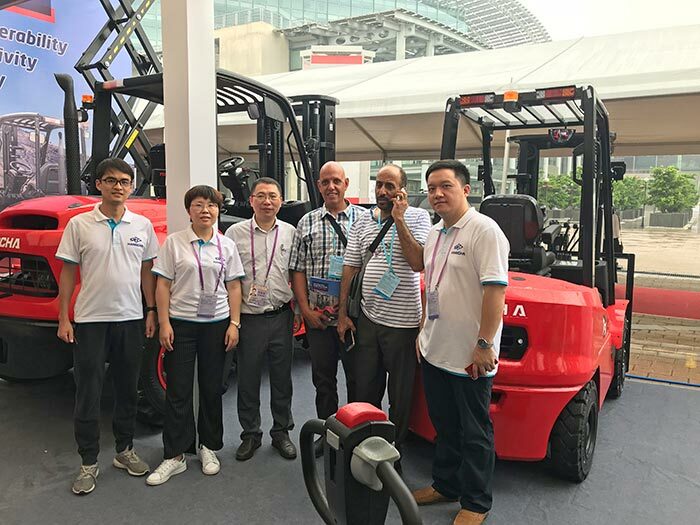 The 124th Canton Fair was held in Guangzhou, China during Oct. 15t -19th. 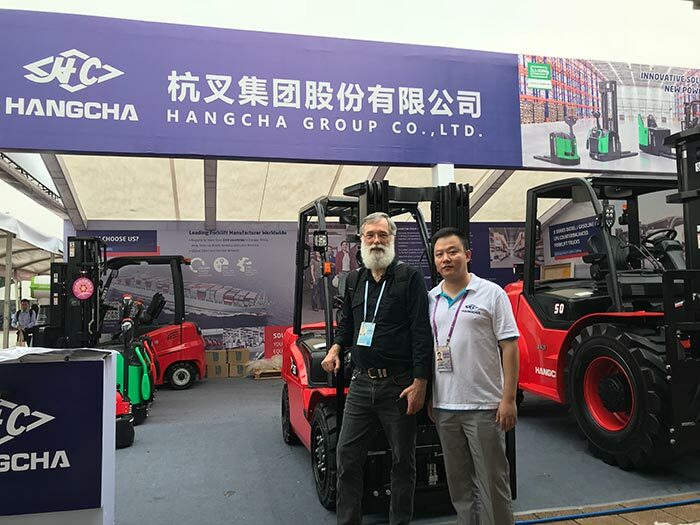 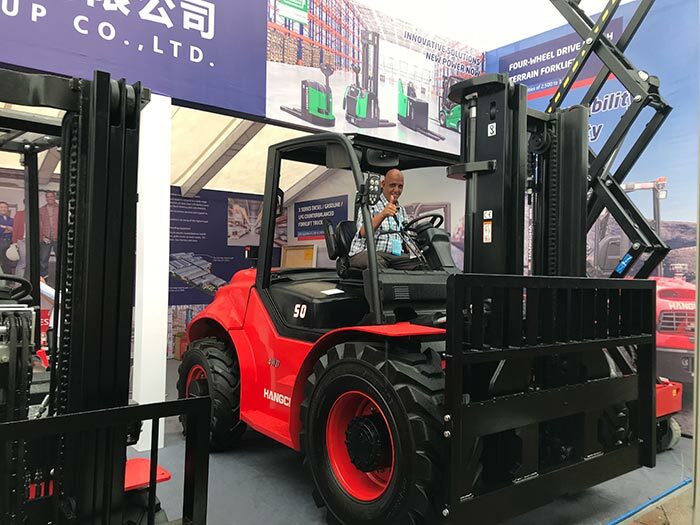 Hangcha Group Co., Ltd. showed its complete product range including lithium battery powered electric truck, electric pallet stacker with reach fork, electric pallet truck, X series diesel truck with Chinese high pressure common-rail engine, new 4-wheel drive 5 ton rough terrain truck and scissor lift. 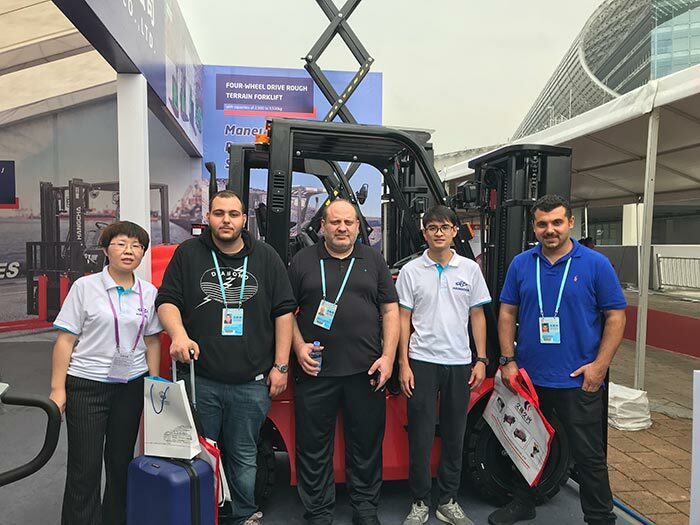 All showing products in accordance with European CE standard production, their appearance and performance won the recognition and satisfaction by visitors at home and abroad. 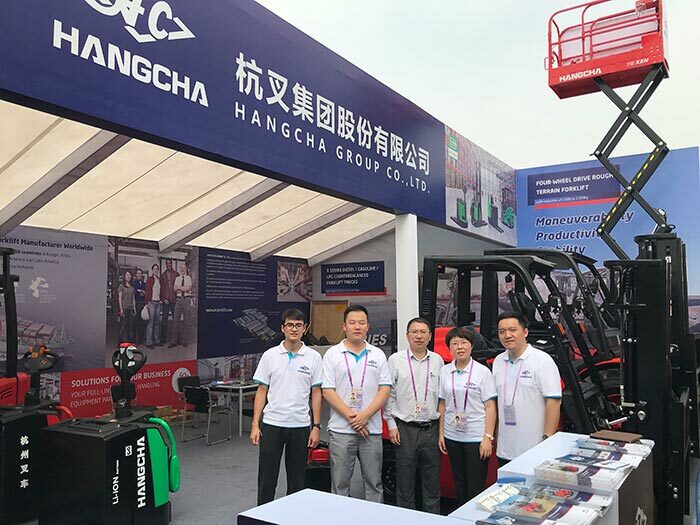 During this fair, customers from 227 companies visited Hangcha booth, leaving their business cards and contact details. 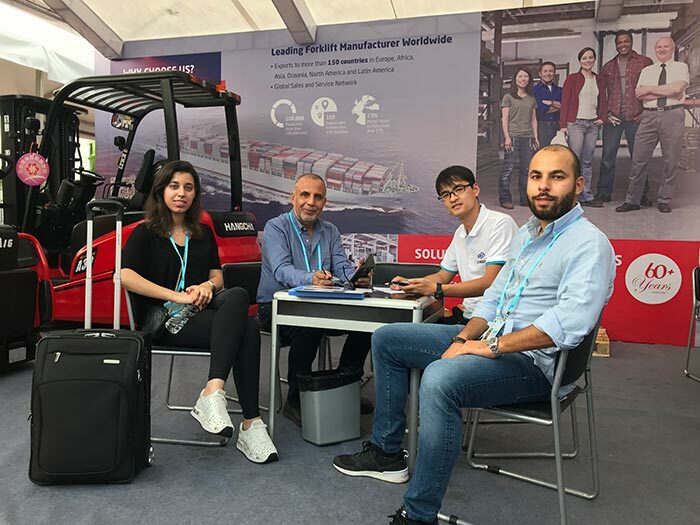 They come from 53 countries. 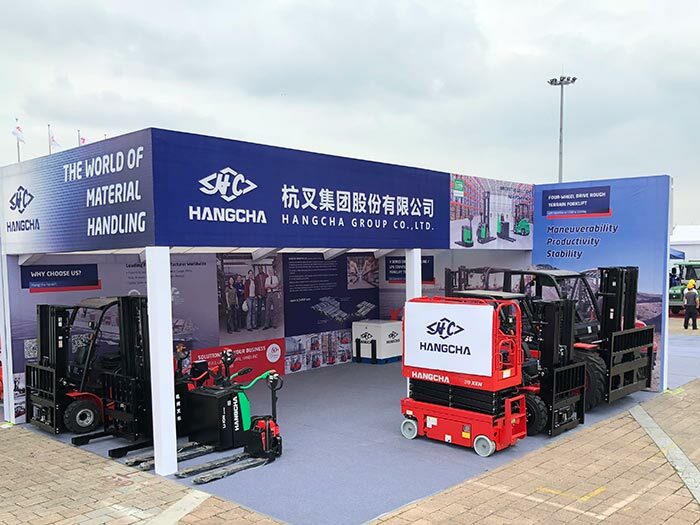 There is 1 unit rough terrain truck, 1 unit 3 wheel electric truck and 1 unit LPG truck confirmed order. 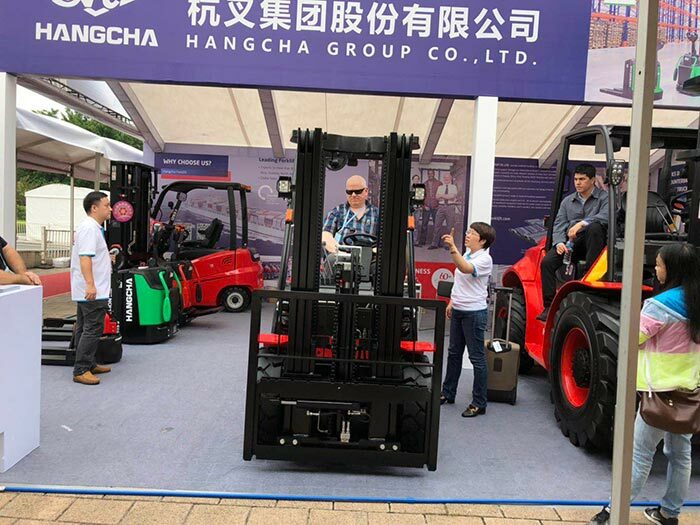 Through the product display and communication, we believe there will be about 25 unit forklifts and warehouse equipment in potential order. 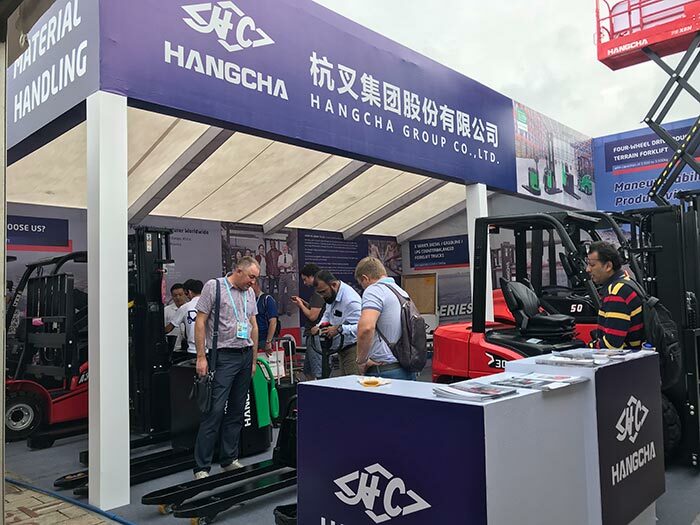 By the fair, Hangcha not only shows its power to constantly develop new products, but also proves Hangcha improving production technology and industry leading technology.